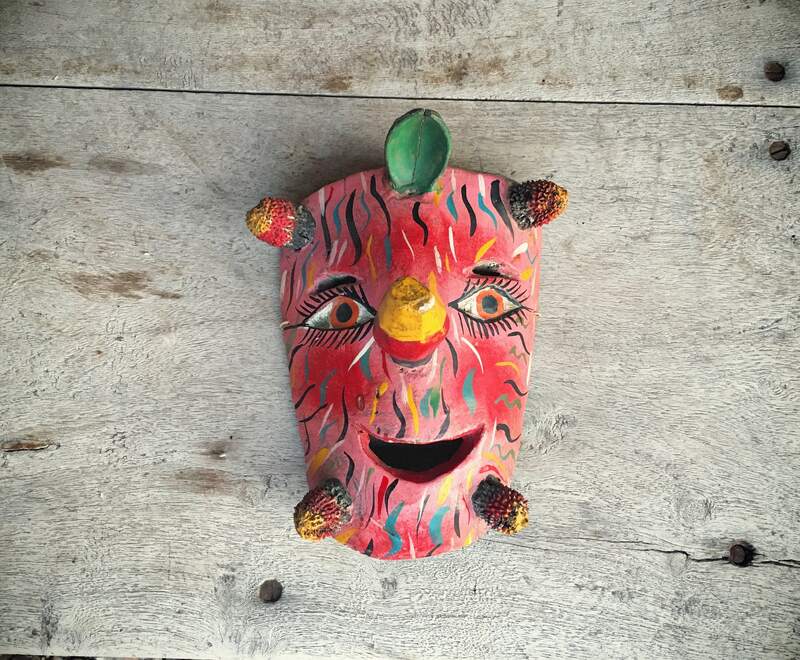 I collect a lot of folk art from Mexico, and I especially love the masks from Guerrero made of coconut shells. Well, the mask offered in this listing pre-dates the coconut shell mask, having been made of light wood. 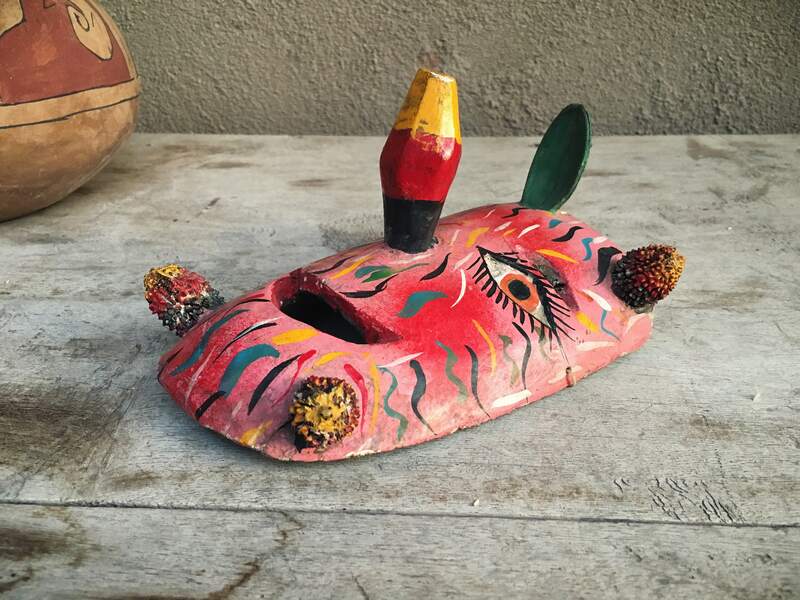 Like the coconut masks, this one uses seed pods as decoration, yet this one is much older and more appealing to the true collector of Mexican folk art. The colors have faded over time, which makes it all the more beautiful, and they still reflect light and are incredibly vibrant. I photographed the piece at different times of day, and the colors are always warm and vivid, whether it's morning with some direct sunlight or evening at dusk. I estimate this to be made, based on wear and the fact that this pre-dates the more tourist-geared coconut mask, in circa 1940s to 50s. 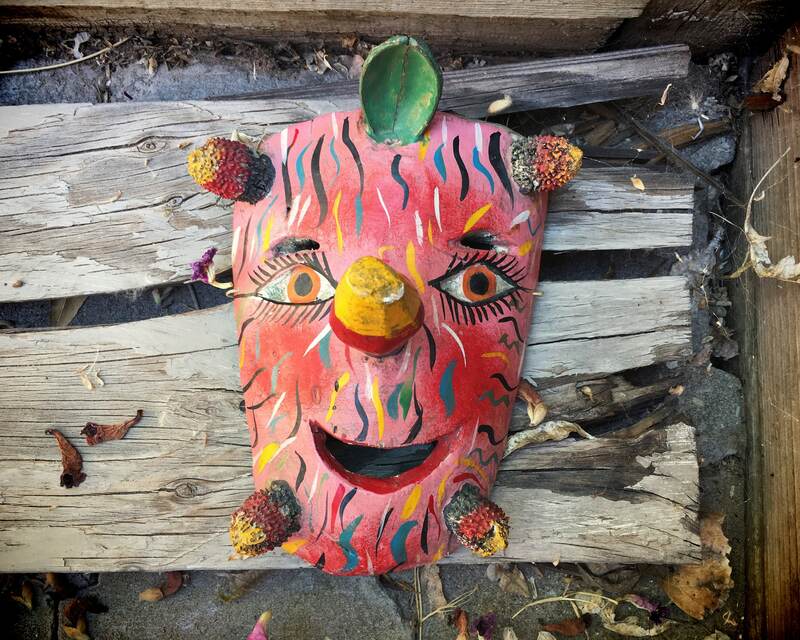 This is not a large mask, at just over 7" tall by 5" wide. 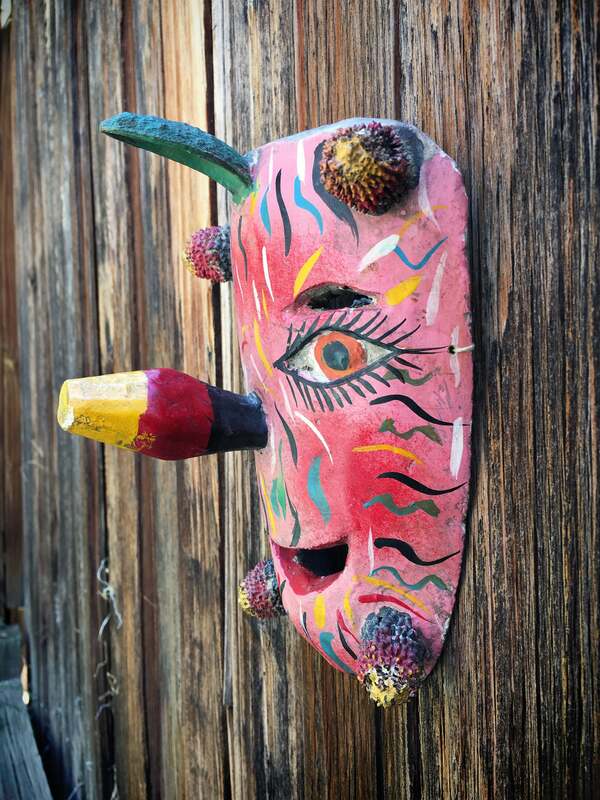 With the wooden corn-cob-like nose sticking out, the mask will extend to just over 4" from the wall where it is hung. A piece of twine has been added to the back--new twine, not original--for hanging. The piece is quite light, and there are spots along the edge in particular where the paint has rubbed or chipped away. The seed pods and husk and wood nose are all well seated, and the piece is in good condition.